Diverse portrayals of Black women in media were sorely lacking. 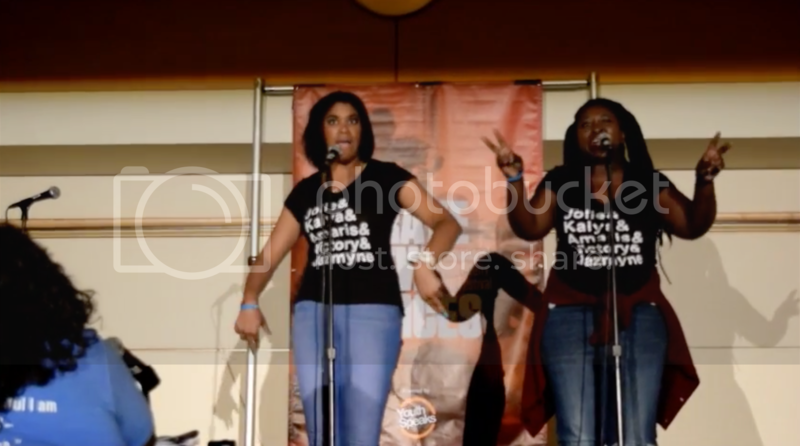 18-year-old, Amaris Wilson and Jazmyne Smith, take down the ways Hollywood typecasts Black women in television and film in their poem "Black Women on Television" performed at the 2016 Brave New Voices International Youth Poetry Slam Festival last month. About the neck-roll stereotypes, they said. "...apparently Black girls can have attitudes but not character development/ just to be clear we do not travel in packs like some 'Bring It On Scene'"
And the young women had some important insight on how Black actresses aren't allowed to grow. Smith and Wilson, represented Baton Rouge's Forward Arts all star slam team, accentuated their point with dynamic one-liners and uncomfortable truths about representation. The team finished in the top 10 of competing teams at this year's BNV.